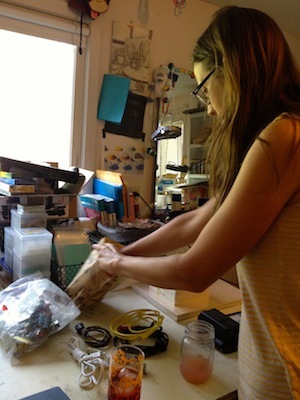 In this installment of MAKING IT, I join artist Alyssa Baguss in her home studio in Anoka, MN to talk about old computer parts, botanical drawings and the importance of slowing down. Alyssa is many things; she is an expert draftsman, she is a collector, a lover of objects, and an archeologist. Her current body of work exacts a razor sharp eye to create technical drawings of, well, technology. 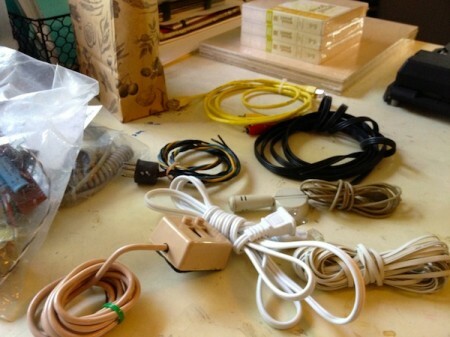 Operating like an archeologist, Alyssa gathers old computing devices and odds and ends of obsolescent technology and works with field experts to identify their origins and function. An inexhaustible research project, as these components are retiring at a rate that compounds by the second. Alyssa tracks these specimens like a botanical illustrator, ensuring that their existence will not be completely erased past their elimination from natural selection. According to Moore’s Law, an observation of the history of computing hardware, the number of transistors and integrated circuits doubles approximately every two years, essentially leading to chips doubling in their performance every 2 years. This exponential charting has also been applied to similar laws including hard disk storage cost per unit of information, network capacity, pixels per dollar and library expansion. In other words, the capabilities of processor speed and memory capacities, etc., double every two years, resulting in a constant production of new hardware. This exponential growth doesn’t hurry Alyssa to catch up to the latest advancement, in fact, quite the opposite. Alyssa meets these objects that are rapidly falling into obsolescence and engages with them through something that they don’t have: time. Though her process of slow looking and highly detailed drawing, Alyssa spends time with each object as a portrait artist would with their sitter, eye-ing their every nuance and replicating their likeness in the traditional drawing medium of graphite. Her renderings of technologies past are impeccably detailed value studies – a brand of pre-photographic realism that could rival da Vincian drapery studies. Able to discern and articulate the subtle shifting lights and darks with precision, Alyssa elevates humble audio chords, resistors and plastic keys into lovely, isolated studies. Sometimes these floating portraits feature arrangements of multiple components, allowing their formal and functional properties to mingle. 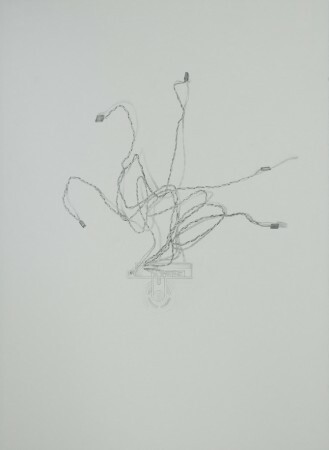 Within her series Chronicles, in which she produced 50 original graphite drawings for the CSA: Community Supported Art program, we see a small transistor befriend a slightly larger one, their metal leads becoming anthropomorphic arms while they seemingly enjoy each other’s company or twist into a little hug. Alyssa’s sense of humor expands to create jokes through text, which borrow both from botanical drawing identification labels as well as interactivity contexts. If viewers of Alyssa’s work are users in the ‘end-user’ sense, they might be invited to follow a prompt for a mouseover – a coded functionality ‘event’ that occurs when a mouse hovers over text or an object – or they can enjoy the pun that the life of this computer mouse is in fact over, because it is totally useless. Alyssa’s engagement with hyper-text-mark-up-language and code-related humor continues in a series of hand-typed HTML source code letters-come-prints, which eradicate the html’s functionality by repurposing it as an object with an existence IRL. Even the typewriter could be considered obsolete, now just a printing press with one type-face. Alyssa’s interest in printing presses and sense of humor can also be found in her latest endeavor in which she employs old ‘knuckle-buster’, a manual credit card machine, as a mini- carbon printing presses, which she was kind enough to share with us during a recent Drawing Club with mnartists.org.